Since their debut concert at Yoshis in November of 2005, Zadell has been very busy. In the last year and a half, the band has performed at many Bay Area clubs and venues including Maxwells in Oakland, the Café Theater in Larkspur, and the Downtown Restaurant in Berkeley, where Zadell rang in the new year 2007. But theres no doubt that the highlight was the October 25, 2006, live recording at Annas Jazz Island in Berkeley. The concert featured all original music by Zoë and her two English writing partners, Chris Nicholas and Johnny Musgrave. These songs showcase both the power and emotion of Zoës voice, and its softer, soul-stirring side. Chris came over from London for the performance, and Johnny came later to add his unique piano sounds to the CD, produced by Dave. The CD, Zoe Ellis - Live at Annas Jazz Island, made its debut at a three-night engagement at Jazz at Pearls in San Francisco. The CD will be available at future shows and soon through CDBaby.com and ITunes. You can hear samples at Zoës new website at http://www.myspace.com/zoeellisgroup. Zoë and Dave have also been busy with a variety of other musical ventures. 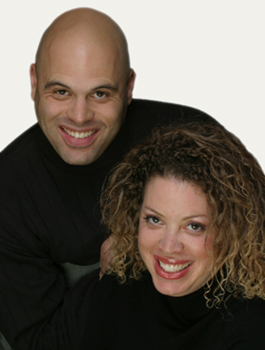 Both participated in the December 2006 performances at the Discovery Bay museum of Dmitri Mathenys annual Winterfest Concert , Snow Cat, a jazz musical story for children. Both have done some traveling in last 12 months. Dave hooked up with Donny Osmond again for a tour of Australia and New Zealand in the summer of 2006 and, in February 2007, he toured the west coast with the Amina Figarova group. He plays frequently with other Bay Area jazz notables and appears regularly on Fridays at Bix Restaurant in San Francisco. Now that Zoe Ellis - Live at Annas Jazz Island is complete, Dave is devoting more of his time to music production and has a number of projects in the works. You can hear more of Dave on a just-released CD with Ray Drummonds group, A Night in Claremont. Zo_ continues her association with two outstanding a capella groups, SoVoSo and Slammin All Body Band. She especially enjoys the work SoVoSo does with children and appreciates the corporate gigs that introduce a wider audience to this wonderful musical form. Slammin All-Body Band was on the move this year with performances in Los Angeles, and a scheduled trip to the Victoria, BC. In New York, the group was featured in the Goings on About Town item in the April 2, 2007 of the New Yorker, sold out Joes Pub, and attracted a good deal of attention from folks in the know in the music world. Dave and Zoë, separately and together, have devoted followers and fans in the greater Bay Area and beyond but those of you who are new to this musical pair may wonder how it all came about. It began in a home full of music. "We listened to everything," laughs Zoë, "from Vivaldi to Stevie Wonder to the Songs of the Humpback Whale." "Not much jazz, really" muses Dave. "For that Ill have to credit Mr. Rogers and Charlie Brown and the Peanuts gang." Daves love affair with the saxophone began in 5th grade, when the Berkeley High School Jazz Ensemble visited his class; he subsequently became a member of that award-winning group. After graduating from Bostons Berklee College of Music with a degree in Music Production and Engineering, Dave dove back into playing as a founding member of the Charlie Hunter Trio. His next ventures included tours of the U.S. with the Grateful Dead alumnae bands Ratdog and The Other Ones and, in Fall 2005, a tour of Britain with the Donny Osmond band. Dave has many recordings under his belt, including three CDs as leader, two of them produced by jazz legend Orrin Keepnews. His third, State of Mind (Milestone, 2004), won him a fourth California Music Award. Dave loves "formal" jazz but also likes to push the envelope and particularly values having freedom and space for creativity. His sweetness of tone is evident in all his work and his music has been variously described as organic, electric-oriented, and funky; its been said that he plays with unrelenting raw passion and in-the-moment magic. Zoë was an enthusiastic participant in the Gilbert and Sullivan productions in her middle school, experimented with piano, flute, cello, and trumpet but, by her mid-teens, recognized that her true instrument was her remarkable voice. She moved from gospel to R&B with the popular club band, The MoFessionals, then to pop/hip-hop with her long-time friend and singing partner Caitlin Cornwall as The Braids, with stops along the way for more lyrical work with such groups as Cleveland Lounge. She is equally at home with "house" music, witness her recordings for Naked Music/Aquanote. Zo_ has been called a resourceful and inventive vocalist, with a dramatic and colorful voice, whose "jubilant vocals swoop like a big, soulful bird." Despite their different paths, Dave and Zoë share much - great joy in music, an affinity for a funky beat and, above all, a compelling soulfulness, all of which is evident in Zadell. They are wonderfully engaging entertainers, welcoming their audiences with grace and humor. Stay tuned! There is much more music to come from these two talented artists.